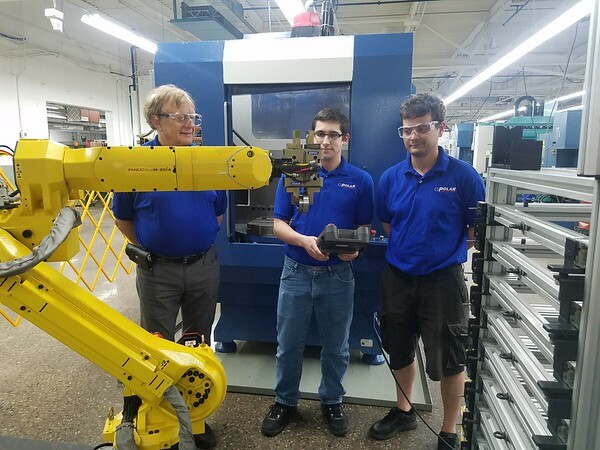 The Bristol Press - CCSU robotics student brings skills to Polar Corp.
CCSU robotics student brings skills to Polar Corp.
NEW BRITAIN - A Central Connecticut State University student is playing a big role while integrating new technology to a Farmington manufacturer. Joshua Rossignol, of Newington, is a Robotics and Mechatronics Engineering Technology student who is currently in his junior year at CCSU. Rossignol started an internship May 15 that could change not only his life, but the future of Polar Corporation, which has its headquarters at 59 High St., New Britain. Andy Kowalski, president of Polar Corp., started the business 25 years ago in the city. He said that skills such as the ones Rossignol is offering to the facility are tough to find in Connecticut, and expensive to obtain from someone out of the state. “I was surprised to know they had that kind of specialty at Central,” Kowalski said. Rossignol’s role at Polar is to help develop a new robot. He is helping leverage the implementation of automation robotics. The new machine is serving as an advanced tool to Polar for the use of their longtime customer Pratt & Whitney. Rossignol started his internship through CCSU’s Faculty in Residence Program and the Connecticut Next Technology Bridge program, which has been funded by the Department of Economic and Community Development. Over the last two years, the program has run up to 30 projects, Rossignol’s being the latest. Rossignol was chosen for the internship by Thamma Ravindra, professor and department chairman of the manufacturing and construction management program at CCSU. But the work of the teacher does not end once the student starts the internship. Ravindra has to spend a few hours a week at Polar assisting Rossignol and his mentor. In addition to working with Ravindra, Rossignol has a Polar foreman, Pawel Siofer, who is serving him as a lead. Siofer said that when Rossignol is done with his nine-month-internship, and his education at CCSU, he will be ready to successfully join the workforce. Siofer also said he is learning a lot from Rossignol, because of the unique skills he has to offer to the making of the new robot. One of their challenges as a team is to integrate the automation system with the mechanical machine system, and making the two synergistic, operating at the same time, speeds, and feeds. “The project is very complex, it is not easy,” said Mullins, as he praised Rossignol for his talent. Before starting his internship, Rossignol had a clear vision of what his challenge was going to be about. 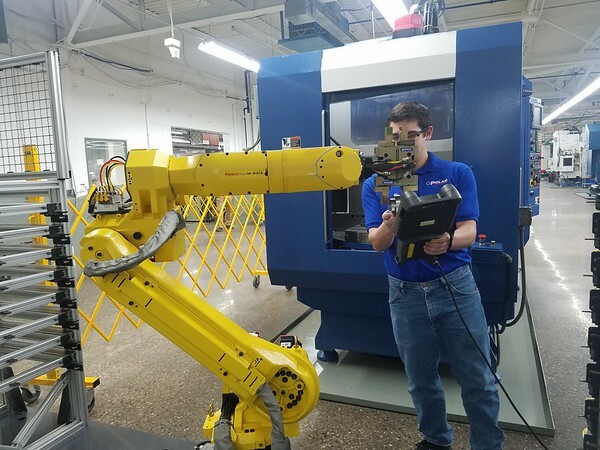 “I knew that with the experience I would be able to learn practically how I can get the robotic arm integrated with the manufacturing process,” Rossignol said. 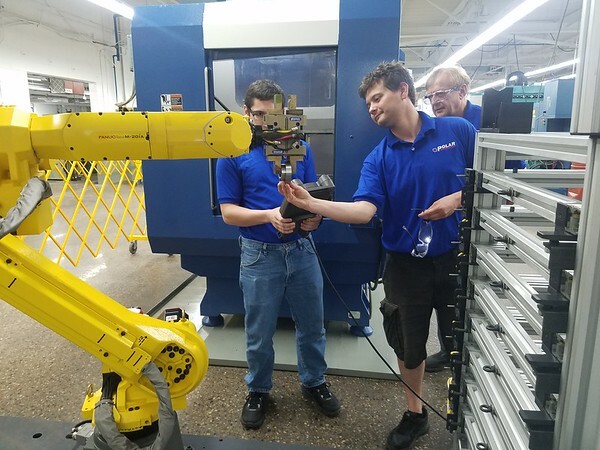 Rossignol said he is proud of the career he chose, and he advises the younger generation to look into robotics because it is the future of some companies. “Robotics right now is newer, but probably in 10 to 15 years it’s going to be everywhere, most companies are going to have some sort of robotics,” Rossignol said. Posted in The Bristol Press, Manufacturing on Monday, 4 June 2018 21:09. Updated: Monday, 4 June 2018 22:02.